Utah running back Troy McCormick has suffered a “pretty severe” knee injury according to head coach Kyle Whittingham. While the specific injury is not known at this time, it certainly sounds like an ACL injury, especially if he will miss the entire season. McCormick redshirted in 2013 before seeing some action in 2014 in a reserve role. He played in all 13 games with 178 yards rushing and a touchdown on 30 carries. He returned one kickoff for 21 yards and also made 6 tackles on special teams. McCormick had 2 catches for 18 yards as well. 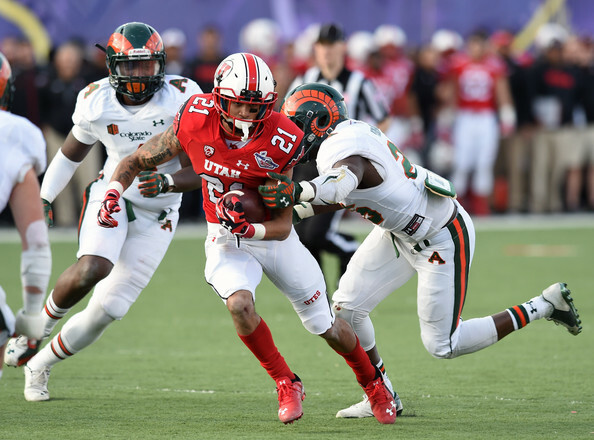 The Utes still have their top running back in Devontae Booker. Booker rushed for 1,512 yards and 10 touchdowns on 292 carries in 13 games last year. Booker also caught 43 passes for 306 yards and 2 touchdowns. Senior running back Bubba Poole and redshirt freshman Tani Leha’uli are likely to see more reps that would have gone to McCormick. Incoming transfer Joseph Williams will also get a chance when he arrives on campus in the fall. Poole was the third leading rusher last year with 234 yards and 3 touchdowns on 49 carries.